Welcome to a new week everyone! Mandee from Designs By Miss Mandee, back again to share a fun fall printable. It’s crazy to think about, but Thanksgiving will be upon us before we know it. 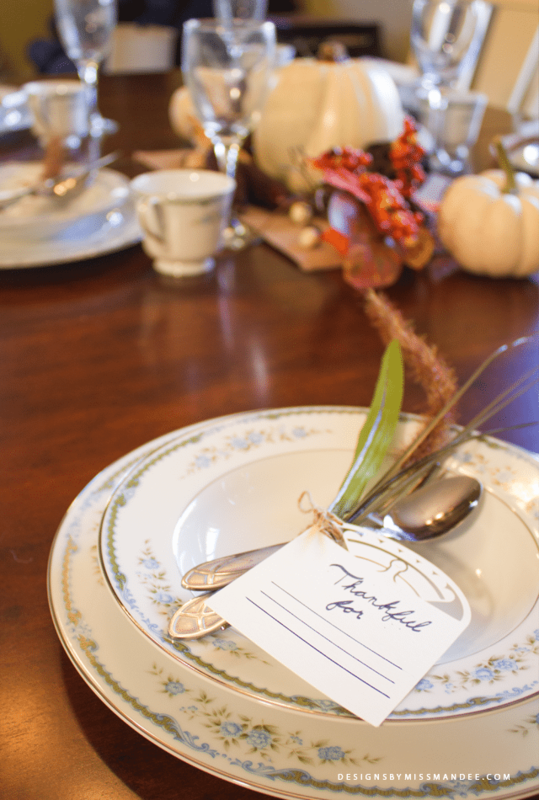 And if you’re going to be playing host this year, then you’ve probably already been brainstorming ideas. 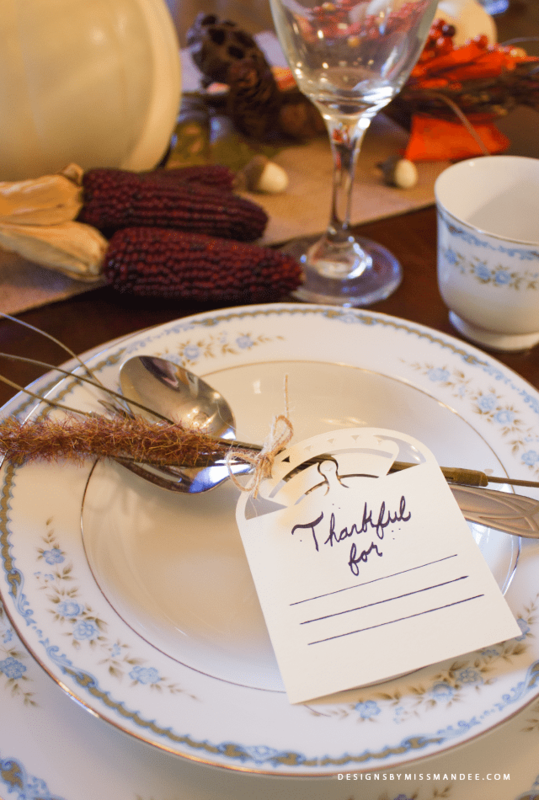 Today, I’ve got the perfect thing to go along with you’re place settings! 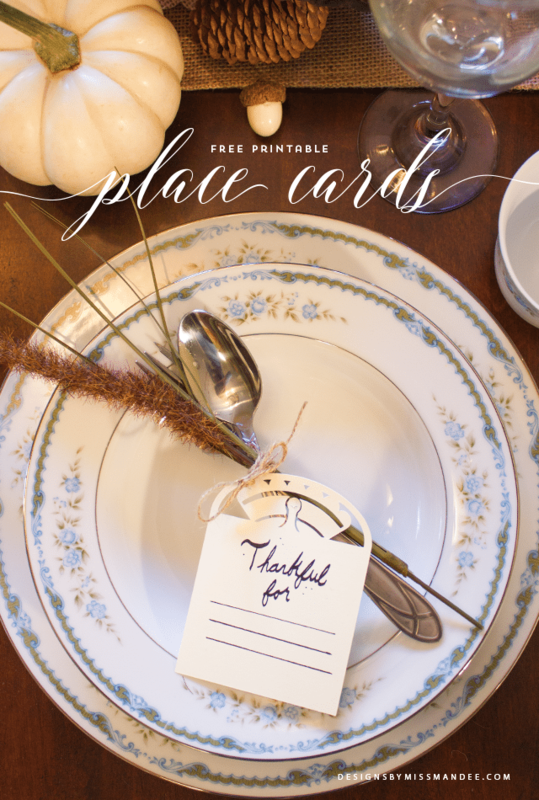 These Thanksgiving gratitude cards are simple, elegant, and something fun for guests to take home. What did I tell ya? Pretty cute, right! I cut these out with my Cricut (which I am pretty much obsessed with right now), but I’ve included a printable pdf version in the download as well. For the words, I used a calligraphy pen. I’ve heard that Cricut has a “print then cut” function, but I am still trying to figure out how to use it. 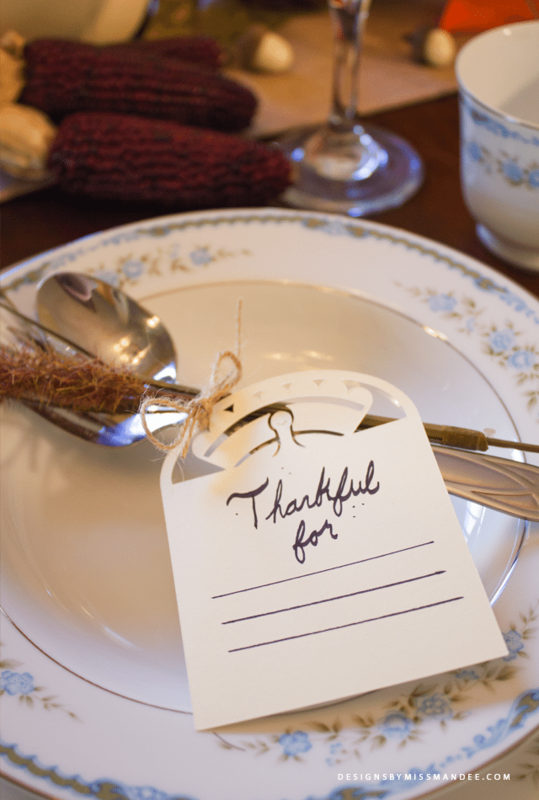 On Thanksgiving, do you like to go around the table and have each person say what they’re grateful for? 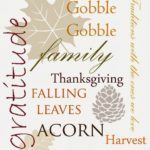 Thanksgiving is a great time to look at things in a positive light and show gratitude for family and friends. This Thanksgiving, I am grateful for my supportive (and totally rad) husband, my adorable (and brilliant) little boy, our home, a good job, and a hobby/side job (aka THIS) that keeps me sane and that I love! 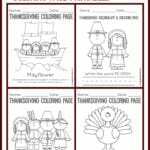 If you like these cute cards, then you should be sure to check out the fall party printables and OREO cookie ball turkeys I shared on my blog last week (warning: you may experience an overload of cuteness)! 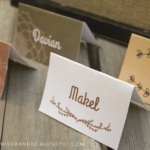 Also, last year, I made some pretty awesome (and customizable) place cards that I shared on this blog. 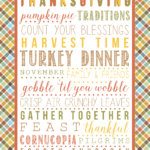 With all these great printables, you’re definitely going to rock your Thanksgiving dinner! 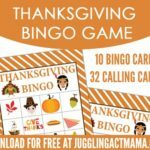 Enjoy these beautiful, die cut cards, and have a Happy Thanksgiving! 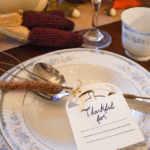 I just love the recipes & all the cute printables for the holidays. I look forward to them.Thank you. Thanks for your sweet note, Karen! !